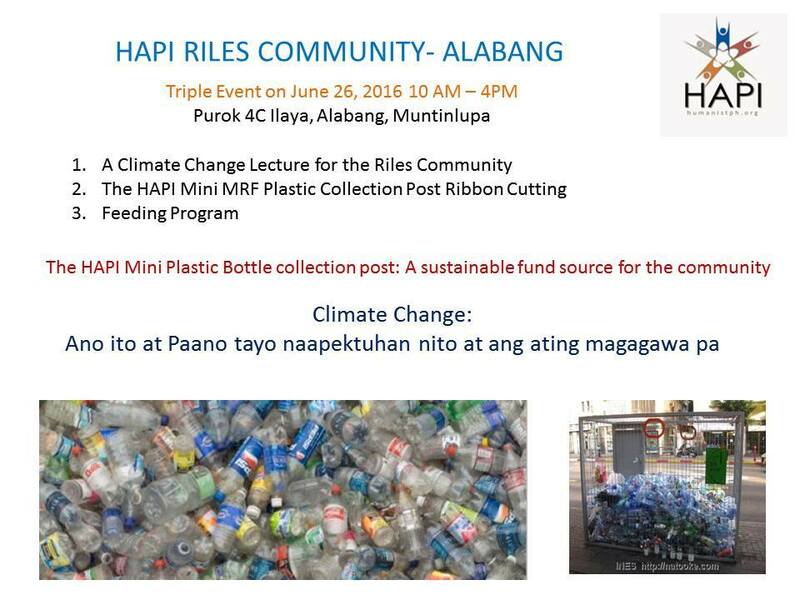 Join us on this triple event happening on Sunday, June 26,2016, 10:00 am to 4:00 pm, at Purok 4CIlaya Alabang Muntinlupa as we teach the community to be environment conscious. 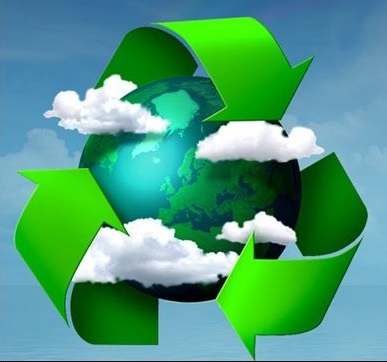 – We will be building a Plastic Bottle Collection Post for them that will be a source of funds for their community, along with a lecture on how to recycle. – A climate change lecture, on how to help in mitigating and adapt, will be conducted by HAPI’s Ms. Jennifer Gutierrez. – We will be hosting a nutri-camp (Feeding program) and the HAPI Back to School send offs with shoes for the kids. HAPI believes that we can improve humanity one community at a time! Feel free to attend the event at your leisure! Registration is also possible via Facebook here.